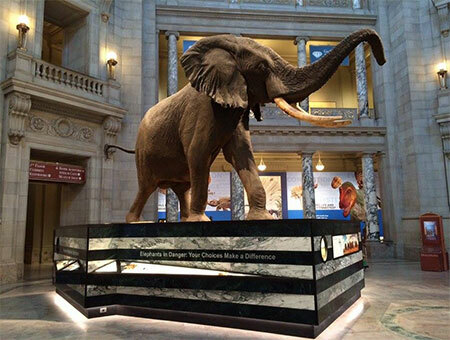 Our iconic 12-ton, 14-foot-tall African Elephant has undergone a remake! The elephant made its debut in 1959 and has been restored several times since then. The newest setting explores the evolution of elephants from their earliest predecessors to the three modern-day species. Learn about elephant behavior and the threats facing elephants today. Discover the long-hidden compass on our rotunda floor revealed by the latest remake.